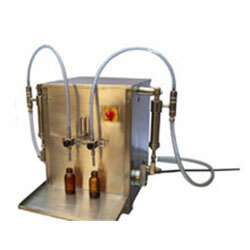 We are the preeminent manufacturer and exporter of Semi Liquid Filling Machines in India. This product is made in accordance with the set industry norms and guidelines, utilizing the finest raw materials and modern machines. Owing to this, the offered range is known to have an impeccable performance, speed and service life. These are known for their incredible performance as well as high speed. They are also lucrative and power-efficient. 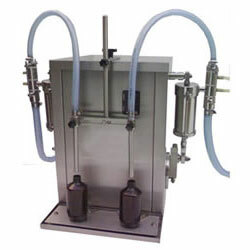 These offer accurate filling functionality and their speed can be altered as needed. Our machines are quality tested meticulously at our quality check department. These machines are accessible for various sizes and forms that likewise eminent and immensely functioned. Our machines are designed by expert professionals and precisely engineered employing state-of-the-art technology as well as premium quality basic materials. These machines offer unmatched performance because of their servo and electromagnetic clutch, cutting-edge web controller in addition to break film draw mechanism. These machines have the options of handling wide-ranging roll widths, roll diameters in addition to pouch lengths. We export them to numerous nations like U.K., Canada, Nigeria, Bangladesh and Malaysia etc.